Orthopaedic articles on current trends, tips & tricks and best evidence from top orthopaedic specialists. According to a new market research study titled ‘Bone Cement Market to 2025 – Global Analysis and Forecasts by Type, Application and End User, the global bone cement market was valued at US$ 927.3 Mn in 2017 and is estimated to reach US$ 1414.1 Mn by 2025. The report highlights the trends prevalent in the global bone cement market and the factors driving the market along with those that act as deterrents to its growth. According to the The Insight Partners Knowledge Services market research report, the artificial intelligence in healthcare market is estimated to be valued at USD 2.1 billion in 2018 and is estimated to reach USD 36.1 billion by 2025, at a CAGR of 50.2% from 2018 to 2025. The world is getting smaller and smaller. We’ve been hearing this saying from our grandparents. We are not sure about the other aspects but regarding healthcare, yes, the world is getting smaller. The global healthcare artificial intelligence market is segmented on the basis of offering, technology, application and end user. The offering segment includes, hardware, software and services. Based on technology, the healthcare artificial intelligence market is segmented as, deep learning, querying method, natural language processing and context aware processing. Based on application, the healthcare artificial intelligence market is segmented as, robot-assisted surgery, virtual nursing assistant, administrative workflow assistance, fraud detection, dosage error reduction, clinical trial participant identifier, preliminary diagnosis, and others. 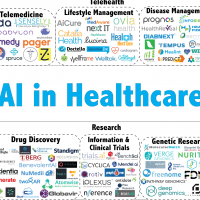 Based on end user, the healthcare artificial intelligence market is classified into, healthcare provider, pharmaceutical & Biotechnology Company, patient, and payer. 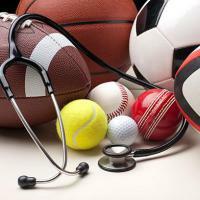 Over the last century, there has been a growing interest in sports medicine in many countries all over the world. This is mainly due to the growing participation in physical activities by athletes. Healthcare professionals who deal with sports medicines focus on the treatment and prevention of sports-related injuries. Such injuries include knee injuries, shoulder injuries, ankle and foot injuries, elbow and wrist injuries, hip injuries, spine injuries, and others. Sports medicine healthcare professionals also provide advice on nutrition, supplements, and exercise. 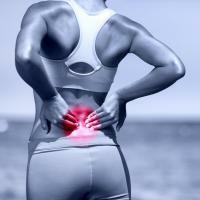 Almost every person has experienced the problem of back pain once in their life either for a short term or a long term. This is due to the hectic life style of the people along with unlimited working hours and bad postures. Imagine you had severe back pain, and you were told the best option was to literally stop your vertebrae from moving; would you do it? This was often what patients were told not too long ago. However, since the approval of technology that promises a solution without loss of motion, the future of these patients looks much brighter, and a shift has begun. However, this isn’t just a shift in patient preference; this trend to motion preservation devices is a result of 4 key factors. Articles on basic science topics from members of the Orthogate Community. Articles on bone metabolism and osteoporosis topics from members of the Orthogate Community. Articles about career planning for orthopaedic surgery residents and orthopaedic surgeons. Articles on foot and ankle topics from members of the Orthogate Community. Articles on hand and wrist topics from members of the Orthogate Community. Articles on hip and knee topics from members of the Orthogate Community. Articles on pediatric orthopaedic topics from members of the Orthogate Community. Articles on shoulder and elbow topics from members of the Orthogate Community. Articles on spine topics from members of the Orthogate Community. Articles on sports medicine topics from members of the Orthogate Community. Articles on trauma topics from members of the Orthogate Community. Articles on musculoskeletal tumor topics from members of the Orthogate Community.